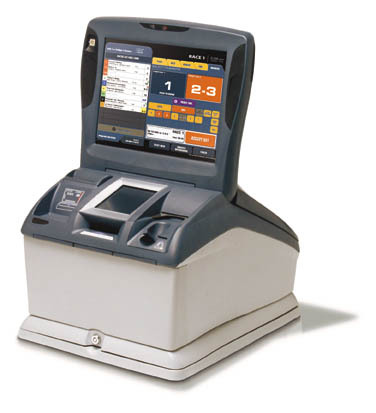 The FastBet card is a plastic voucher that provides ticketless wagering at any FastBet touchscreen terminal. You can pick up a card (it's free!) at the ClubTURFWAY booth on the first floor. Then visit the administrative teller or a full service self-bet terminal to fund your card. If you already have a card and want to use the FastBet card instead, you must exchange your old card for the new one. Your rewards points will automatically transfer to the new card. All of your wagers are recorded on the card, and your winnings are automatically credited to it. ClubTURFWAY points also accumulate on the card. You can deposit funds to your card or make a withdrawal at any time. Just use a full service self-bet terminal or contact the administrative teller. Your FastBet card is password-protected and reusable--no more worries about lost winning tickets! The FastBet card may be used for account wagering only at Turfway Park. To learn how to use our self-bet terminals, click here or the link at left.